In 17th century England, an orthodox group of Protestants within the Church of England, unsatisfied with reformation efforts and restricted from practicing their “pure” faith freely, left first for the Netherlands then the New World. Establishing the Massachusetts Bay Colony in 1629, these English Puritans sought to restore the Church of England to what they viewed as its proper form. Having successfully crossed the Atlantic Ocean, these early settlers viewed the colonization of New England as ordained by God because surely they had been guided by an act of divine providence. Puritans viewed the Bible as a series of recurrent types connecting the Old Testament to the New through perceived foreshadowing. For instance, Moses precedes Solomon who foreshadows Christ as the savior and leader to salvation. 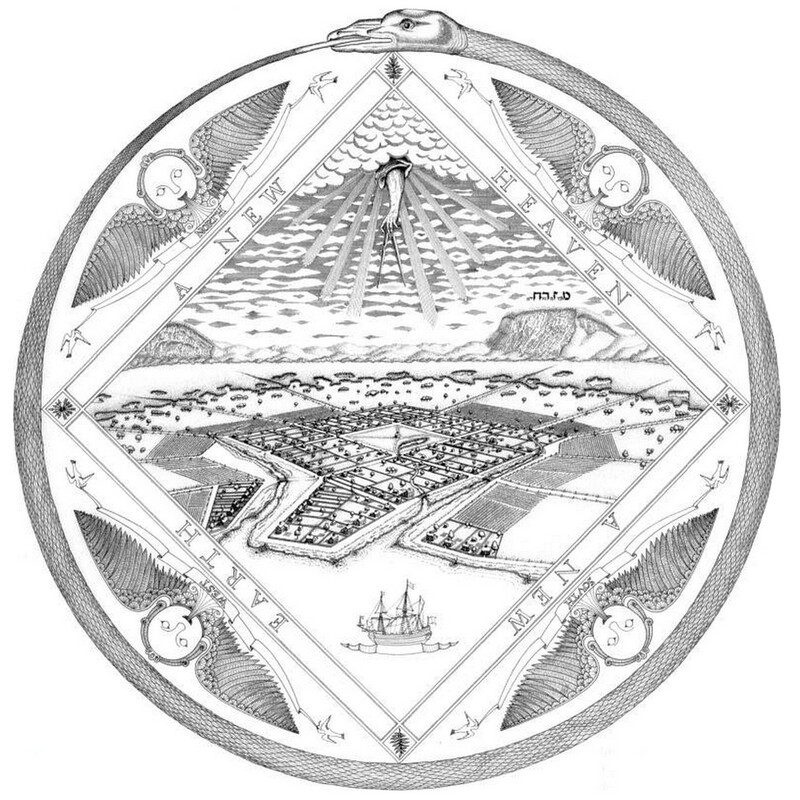 This cyclical view of time as the ouroboros, therefore, would place the puritans’ settlement of the New World firmly within ever repeating Biblical types. This was especially true for the founders of the New Haven Colony. John Davenport, a Puritan minister, arrived in Boston from Holland in 1637, having left England four years earlier. Davenport came to the Massachusetts Bay Colony intent on establishing a new mercantile settlement for himself and his followers. Disappointed with the lack of available land near waterways within the Colony, it was by an act of “divine providence” that Davenport became aware of a site ideal for a new port town. As a result of one campaign by settlers during the Pequot War in May of 1637 that chased a native tribe along the southern shore of New England, English soldiers came across a plain bounded by two red trap rock formations and divided by several waterways – one being the Quinnipiac River. Descriptions of this place must have made quite an impression on Davenport because in August of 1637 he scouted the land and the following spring founded the New Haven Colony along with Theophilus Eaton, a merchant from London. Planned to be the capital city of a large colony, New Haven was ambitiously laid out as nine square blocks forming a double quadrature. 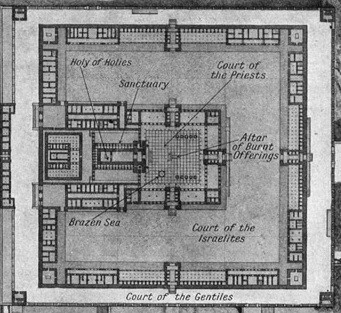 A meetinghouse – facing east – was erected on the central square, which was left open as communal space, while the surrounding blocks were divided into building lots for the congregation. “Behold, I send an Angel before thee, to keep thee in the way, and so bring thee to the place which I have prepared. But if thou harken unto his voice, and do all that I speak, then I will be an enemy unto thine enemies, and will afflict them that afflict thee. Like Moses and Aaron before them leading the Israelites through the desert to the Promised land guided by the providential hand of God, Davenport and Eaton brought their congregation to the plain of Quinnipiac. Just as God had decreed the design for the Israelite encampment from fiery Mount Sinai, so too did New Haven’s settlers lay out their town before the soaring red trap rock. The Nine Square Plan (below right) was planted between two creeks as a garden in the wilderness. Bounded by hills and mountains, pierced by waterways, and having a harbor to the south, New Haven – in its form and landscape – fit the Biblical types of the Garden of Eden, the Israelite encampment in Exodus, the holy cities in Canaan, Ezekiel’s vision of the restored temple, the Temple of Solomon, and John’s vision of the New Jerusalem from Revelations. Even the meetinghouse on the Green was constructed in proportion to Solomon’s Temple (below left) with the entrance facing east towards the rising sun. After the trial of King Charles I of England in 1649, the judges signed a death warrant and the monarch was executed. Many of these judges ended up being prosecuted under Charles II. As a result, several of the remaining judges went into hiding. 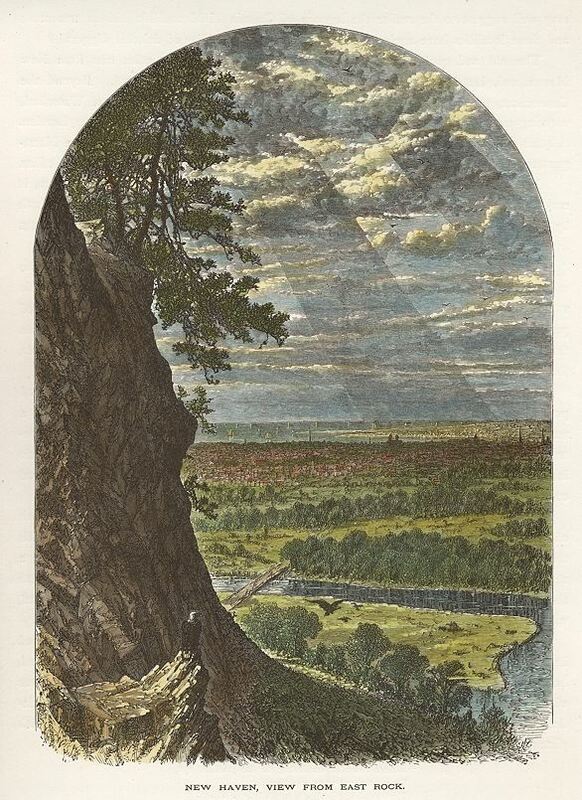 Two in particular, Edward Whalley and William Goffe, fled to New England to avoid prosecution – hiding in various places in Boston and New Haven, including a cave on West Rock. In this way, New Haven seems to have fulfilled its purpose as a haven for exiles. By the time of the regicide judges’ arrival, however, New Haven had hit hard times. The settlement’s port had failed to take off, Davenport had been unable to secure funding for the creation of a college for ministers, and the merchants had left the Colony. In 1665, New Haven was absorbed by the Connecticut Colony and seemed destined for a life of sustenance farming. In a prize winning Yale Law School paper by Mary E. Brady from 2011, the author cites the high costs of retrofitting New Haven’s Nine Squares for the efficient production and movement of goods around the port, among other reasons, for the initial failure of the Colony as a viable mercantile settlement. Perhaps the city had not been ordained by God as the site for his chosen people after all. During the campaign to reform the Church of England in the early 17th century, John Milton, an English writer influential in the country’s politics, offered support for both the Puritan movement and the execution of King Charles I at the time of their unfolding. However, Milton is best known for his epic poem, Paradise Lost, written in blank verse and published in 1667. Told through Biblical stories, the author attempts to “justify the ways of God to men” with the poem. According to some scholars, Milton’s epic also contains an allegory for the colonization of the New World. 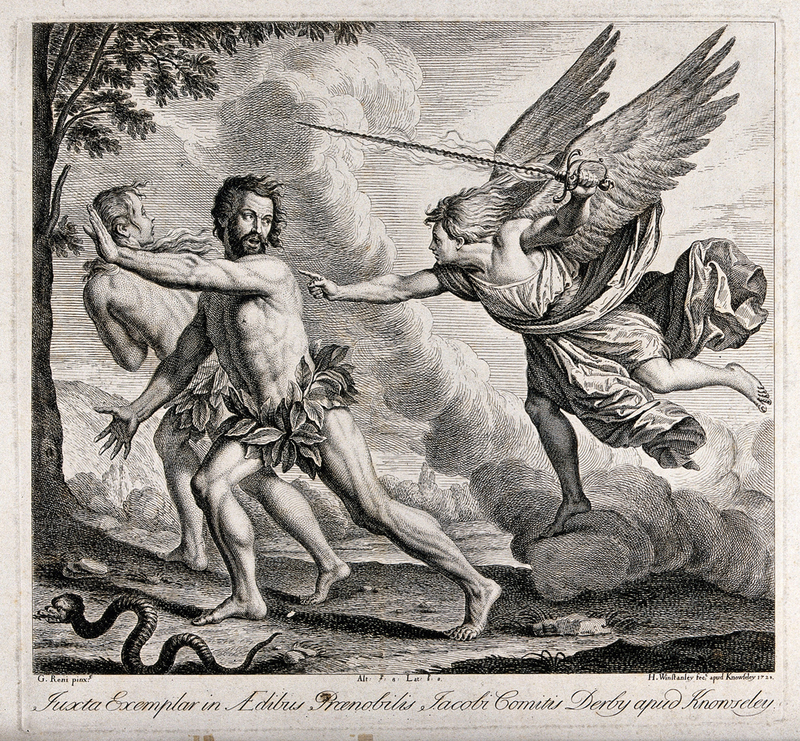 In this interpretation, Satan is seen as the colonizer of Eden (the New World), England is Heaven, and Adam and Eve are the Native Americans destined to be expelled from their paradise as a result of the influence of the Fallen Angels, who like the colonists had also been cast from their home. If correct, this is a very different interpretation than that of New Haven’s settlers, who saw themselves as contemporary Israelites in the desert. With this interpretation, what determines whether one’s own fall from grace turns into a colonial venture of corruption or an exodus to the promised land is entirely dependent upon how one treats others. In the same way, what separates a flood sent to destroy from a savior sent to renew is not the act itself, but the way in which one pursues a given goal. This distinction, present in conflicting views on the founding of New Haven Colony, will become important when discussing subsequent eras in the City’s history. With the loss of its wealthy investors, an inactive port, and the remaining families depending on sustenance farming for survival, New Haven at the end of the 17th century seemed hopeless – Davenport’s Paradise indeed appeared lost. In 1716 when the Collegiate School moved from the Saybrook Colony to New Haven, however, that all changed. John Davenport had failed to garner enough funding to begin a school for training new ministers in the New Haven Colony, but in 1701 the Connecticut Colony passed an act for the creation of such a school. Changing its name to Yale College in 1718, the school built its first building in New Haven on the west side of the green abutting the sidewalk along College Street and facing east. This early building was quickly replaced by a series of masonry structures setback from the street and alternating between dormitories 14-bays wide and four stories high with their roof eaves running parallel to the street and 4-bay wide, gable-fronted chapels and classrooms. The Brick Row, as it became known, developed over the course of the 18th and early 19th century – eventually spanning the entire length of College Street between Elm and Chapel by 1835. Early in its history when Yale College was dependent on Connecticut for funding, the school’s seventh president, Ezra Stiles (1727-1795), a Puritan, viewed the relationship between State, College, and the public as similar to that of Moses, Aaron, and the Israelites. 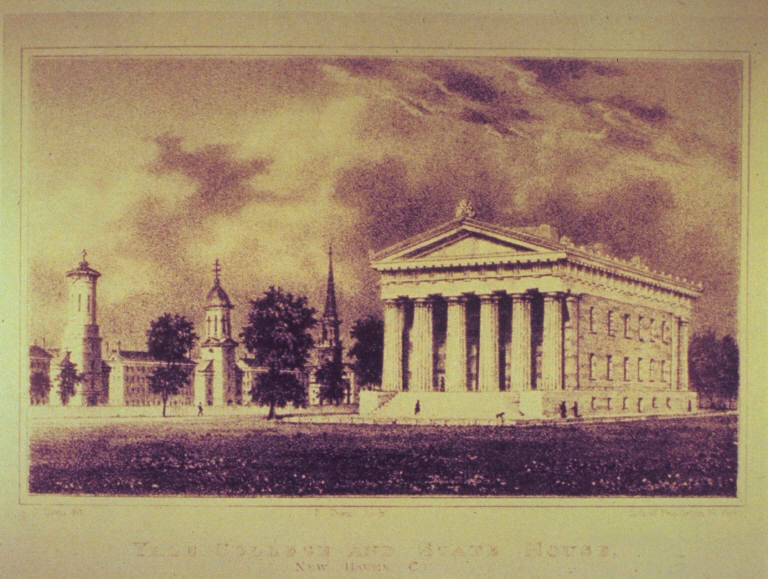 On the other hand, according to Erik Vogt, Yale and New Haven had a more “ambiguous relationship[,] alternately cooperative and competitive.” This confrontation solidified in the early 1830s when New Haven completed construction on a new State House on the Green across from the Brick Row and Yale erected a fence around its campus along College Street. The simple, rural fence acted less as a wall though than as a permeable threshold between the garden sanctuary of the College and the wilderness of the city beyond. 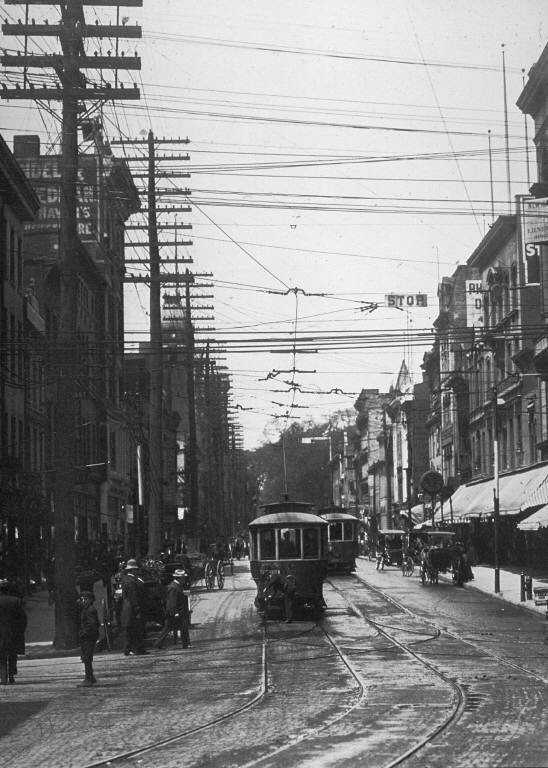 In the late-19th century, New Haven was a bustling industrial city of streets packed with pedestrians, streetcars, carts, and bicycles; neighborhoods filling with factories, shops, and tenements; and diversifying religious traditions brought by Catholic, Lutheran, and Jewish immigrants. In 1829, Yale’s first chapel building was secularized through its conversion to an Athenaeum complete with a cylindrical observatory replacing the spire and belfry. As Erik Vogt describes, “displacing God for science was a telling symbol of change on the campus, signaling the growing importance of the new field to Yale’s academic mission.” As the College’s shift to scientific studies intensified throughout the rest of the century, it became clear that Davenport’s Paradise had only temporarily been regained. 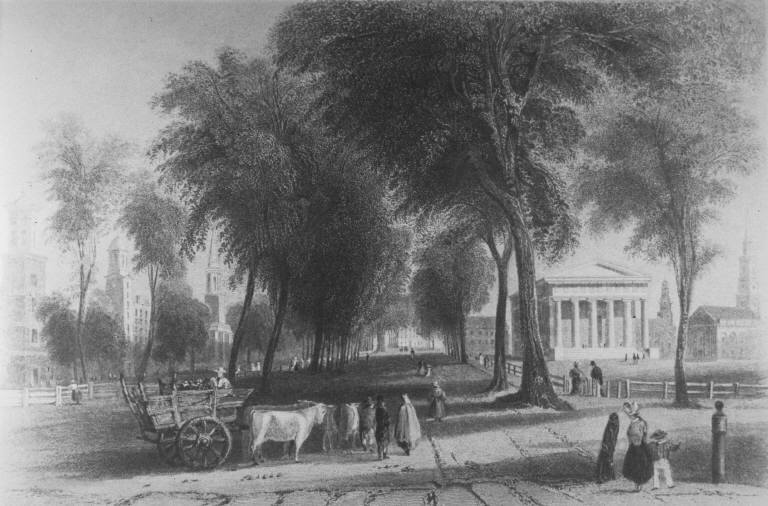 The Federal Era in New Haven saw elm trees planted throughout the center of town, the cemetery moved from the upper Green to the periphery of the city, the Nine Squares bisected by new streets, and the Green graded, fenced, and adorned by three churches along newly created Temple Street. These initiatives set the stage for the manufacturing town that grew up first around the Farmington Canal in 1825 and then around the railroads beginning in the 1830s. 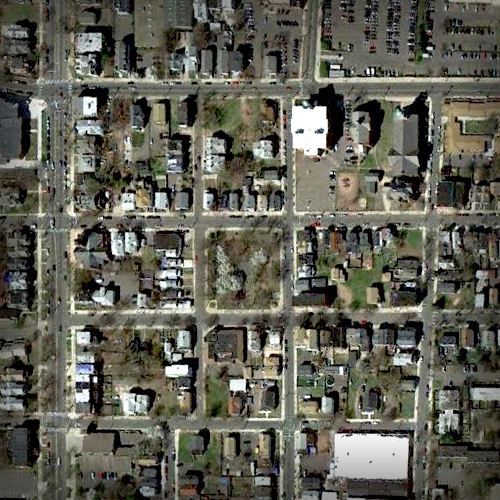 While New Haven’s Nine Squares saw improvements during this period, several pockets of poverty had emerged on the outskirts of town – New Liberia, New Guinea, and Slineyville east of Wooster Square; Poverty Square in the angle between Whalley Avenue and Goffe Street; and The Hill on the southern bank of the West Creek. Southwest of the Nine Squares on the other side of the West Creek, a poor quarter developed in the early 19th century. Described at the time as “a place of poverty and crime”, this section of New Haven was labeled on the Doolittle Map of 1817 as “Sodom Hill”. James Hillhouse, the impetus behind the planting of Elm Streets throughout the City, tried to develop the Oyster Point Quarter around 1800, but the project failed to gain traction and by the 1830s the area was described as a “plague spot” then referred to as Mount Pleasant. But given the views of that area from New Haven’s leadership at that time, the Town’s Puritan colonial history, and the community’s location on the outskirts of the Nine Squares, perhaps Gomorrah would have also been a fitting, if undeserved, name. 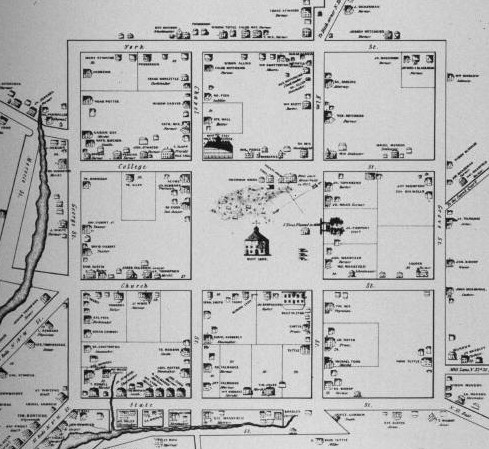 Next, two artists, social reformers, and real estate speculators, Nathaniel and Simeon Jocelyn, attempted to develop the site – laying out streets and designing a central green to form a miniature nine square plan meant for workers – but this plan also failed. Spireworth Square, named by the brothers for “a slender spindling sort of grass” that grows only in poor soil, was one of several expansive developments of the type during the City’s short-lived Canal Era, along with York, Wooster, and Jocelyn Squares. In the 1850s, however, a cast iron fence modeled after New Haven’s Green was built around the tiny park, a church was erected, and the Trowbridge family helped develop the remainder of the working class neighborhood over the proceeding decades. 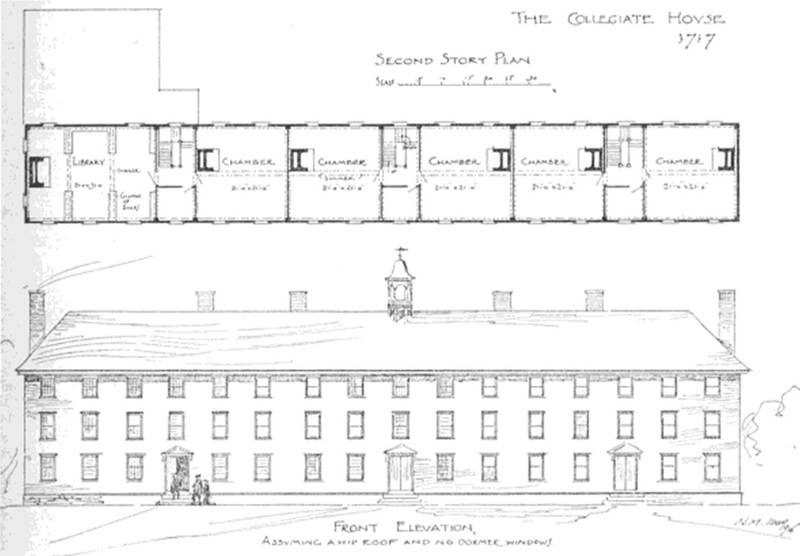 Despite the efforts of social reformers, including the Jocelyn brothers (who went so far as to recreate the Nine Squares in miniature) to create decent housing and neighborhoods for the growing working classes of the 19th century industrial city, most laborers lived in cramped cold water tenements located next to factories. At the same time, Yale College decided to wall itself off from the city. No longer dependent on the State for funding, the school was increasingly able to sustain itself through tuition payments and private donations. At the end of the 19th century, the block bounded by Chapel, High, Elm, and College Streets became completely enclosed by High Victorian Gothic buildings directly abutting the sidewalk. To make matters worse, the mature elm streets vaulting over the city’s central streets that were New Haven’s signature characteristic had begun succumbing to Dutch Elm Disease carried by bark beetles. Far from the days where civic and collegiate life merged along Cathedral-like streets to blend town, country, and college while providing a sanctuary for workers, New Haven at the turn of the 20th century had lost much of its tree canopy to disease, was separated from Yale’s quadrangle by a fortress complete with turrets, and had so-called slums encircling the Nine Squares. In the first decade of the 20th century, New Haven’s center was strewn with overhead wires, the passenger railway station was separated from the Green by a dense network of irregular streets, and the city lacked modern symbols of civic progress. Without a comprehensive plan to guide development, these issues were destined to worsen. Thankfully, in 1907 concerned citizen and civic advocate George Dudley Seymour initiated a movement within the City to address various problems. With an open letter published in the New Haven Register that outlined several proposals, Seymour notably called for the creation of a wide boulevard to connect Union Station with the Green. The Report of the New Haven Civic Improvement Committee authored by architect Cass Gilbert and planner Frederick Law Olmsted Jr. was published in December of 1910. Hired as a result of Seymour’s efforts to bring the City Beautiful Movement to New Haven, Gilbert and Olmsted outlined 93 “Specific Recommendations and Suggestions”, which ranged from the creation of new parks to the control of building heights and setbacks. Great effort was also put into designing Seymour’s boulevard with several pages in`the report dedicated to it. The station approach, as it became known, was envisioned as extending from Gilbert’s new Public Library on Elm Street through the Green along a widened Temple Street to a civic square where the boulevard would deflect eastward towards another plaza terminating at a new train station, which was also to be designed by Gilbert. Lining the boulevard and squares would be hotels, cafes, and boutiques with the Green becoming a civic center complete with a new city hall, records building, courthouses, and post office to join the library and churches. As Gilbert’s new passenger train station was being erected on Union Avenue, another architect, John Russell Pope, was working on a comprehensive campus plan for Yale. Now a university, Yale over the preceding decades had expanded opportunistically by acquiring properties for the adaptive use of existing buildings or new construction whenever the bundling of adjacent parcels was possible. Principal to Pope’s plan were the expansion of the University, unification of the campus, and integration with the city. Similarly, New Haven’s 1910 Plan sought to enhance the experience of moving around the city by connecting the Green, the symbol of Hillhouse’s Federal city, with the train station, a symbol of modern life, through the construction of civic monuments and infrastructure. Had these two plans been implemented, the relationship between Town and Gown, Moses and Aaron, would have been restored. Unfortunately, only a small portion of New Haven’s Plan was ever implemented and Yale decided to pursue a different vision for its campus. James Gable Rogers, architect of the classically-inspired Federal Court on Church Street, was hired by Yale in 1917 to design a massive student housing facility located on the block bounded by High, Elm, York, and what would become Library Streets. This complex, known as Memorial Quadrangle, was designed as a fortress with planted moats sunken below street level, gated passageways leading to private courts, and Collegiate Gothic architecture rendered in stone hung on steel frames. As New Haven’s streets became more congested with traffic in the 1920s, it was Rogers’s privacy that appealed more to Yale’s disposition to the City than Pope’s openness. As a result, Rogers took over as the planner of Yale, which produced a campus of masterfully detailed, interesting, and varying islands. 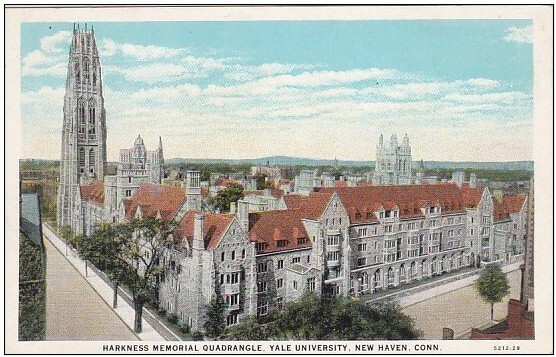 Continuing the precedent set by the Old Campus Quadrangle, Yale turned inward as it expanded during the intebellum years. 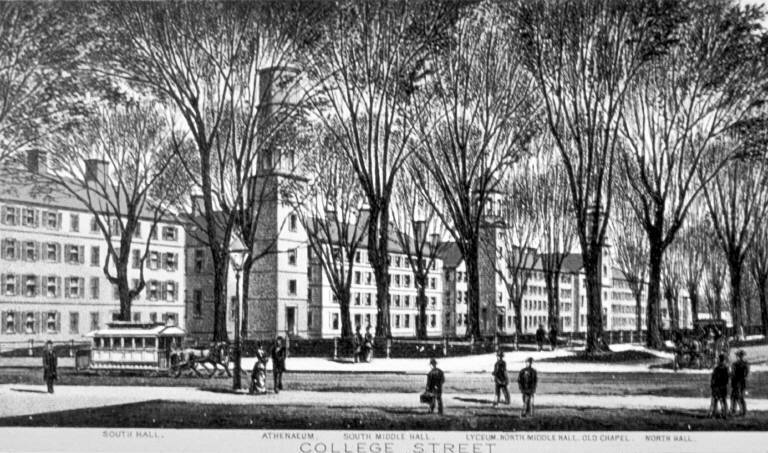 Adopting the residential colleges model from Oxford and Cambridge Universities in England, Yale built large complexes to the north and west of the New Haven Green. Some were built in the Collegiate Gothic style, others in a Georgian mode – each of the original 10 residential colleges were complete with their own student dormitories, dining halls, classrooms, administrative offices, adviser’s houses, and libraries. Other projects included new buildings for the University Library, Art Gallery, and Schools of Law, Graduate Studies, Divinity, Medicine, and Science. In some cases, existing buildings were incorporated into this expansion as in the case of Silliman College, while in others, a tabula rasa approach was taken like in the case of Berkeley College. 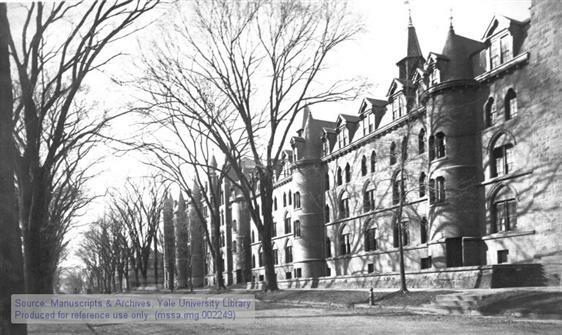 At the turn of the century, Yale students were much like New Haven residents – many lived in private housing, shopped at local grocers, frequented cultural venues, and used the City’s amenities and services, but with the implementation of the residential college system, students became much more isolated within their institution. By mid-century, Yale had successfully closed itself off from the surrounding city and, incidentally, from itself as well, but such is the price for abandoning one’s brother. 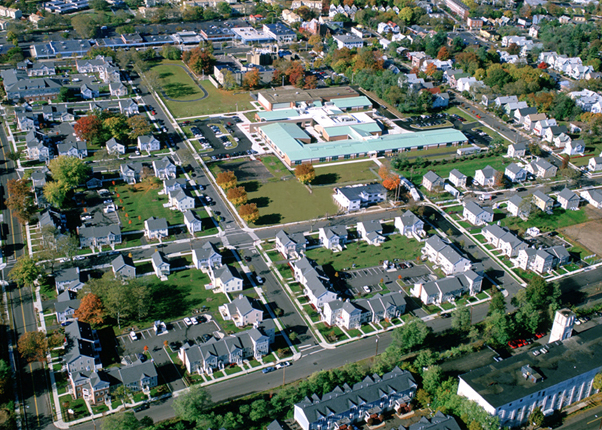 After 1920, fueled by the automobile and parkway construction, most new housing development occurred outside of New Haven in the suburban towns of East Haven, Hamden, and West Haven. The city’s population stagnated as migrants from the American South replaced middle and upper income households with no net increase of residents. As the middle class left city neighborhoods for suburban tract homes built on former farmland, businesses followed – establishing new retail locations in strip malls of single-story structures setback from the street by parking lots. In response to these circumstances, the City of New Haven, under Mayor Richard C. Lee, embarked on the most extensive urban redevelopment program in the country. 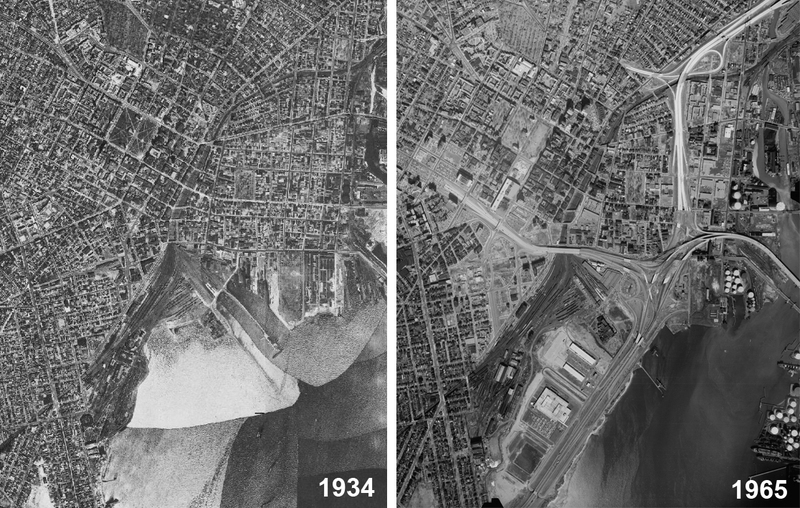 With the passage of the Housing Act of 1949, Federal funding became available for municipalities to use in slum clearance and redevelopment projects. In 1954, the Housing Act was amended to allow funding to be used for housing rehabilitation, or Urban Renewal, as well. Then, two years later, the Highway Act provided funding for Departments of Transportation to clear land for the construction of limited-access expressways through each State. In New Haven, highway construction projects and urban redevelopment programs were coordinated with the Redevelopment Agency to transform the city. When Lee took office in 1954, he and his Redevelopment Agency, headed by Edward Logue, began applying for Federal grants and soon after money started flowing into the city. Like a great flood, bulldozers tore through New Haven to clear the land for the development of a new shining city on the hill. 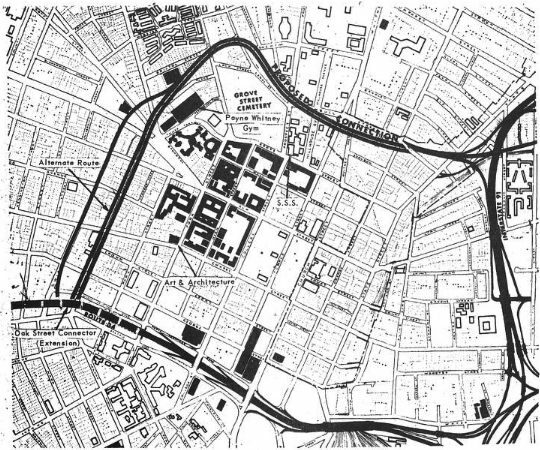 Highways, office towers, medical buildings, industrial parks, a civic center, an enclosed shopping mall, and parking garages were built atop a network of dense streets lined by schools, churches, synagogues, storefronts, tenements, warehouses, and factories. Tremendous effort was put into making New Haven’s center more conducive to industry and commerce, and more desirable for living and entertaining particularly for middle class residents of the region. “The cataclysmic epoch in New Haven’s history was initiated, here as in hundreds of other American cities, by the coming of the interstate highways. 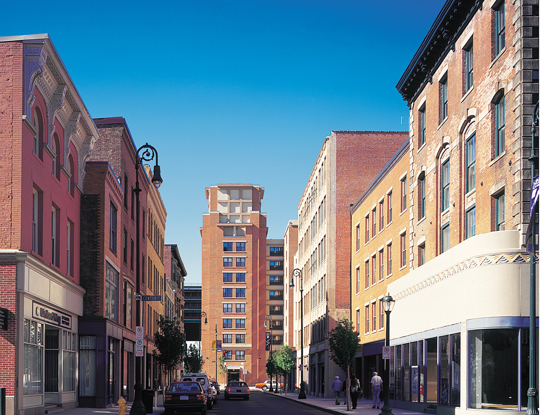 In the end, however, New Haven’s Urban Redevelopment efforts were unable to stem the tide of suburban ascension and the construction of highways, in many ways, accelerated the city’s decline by opening up vast areas of land far outside the city for development of residential subdivisions, shopping malls, and office and industrial parks. Steadily losing good paying manufacturing jobs, separated from Downtown services by highways, and absent of middle income households to support local businesses and organizations, the City’s working class neighborhoods had begun to spiral downward by the 1970s. “During the nineteenth century Yale was regarded as a desirable place to go to college precisely because it was situated in New Haven, the city of elms. Life was much the same in both. But in the first half of the twentieth century Yale created a paradise for itself, and something approaching hell soon began to threaten the town. 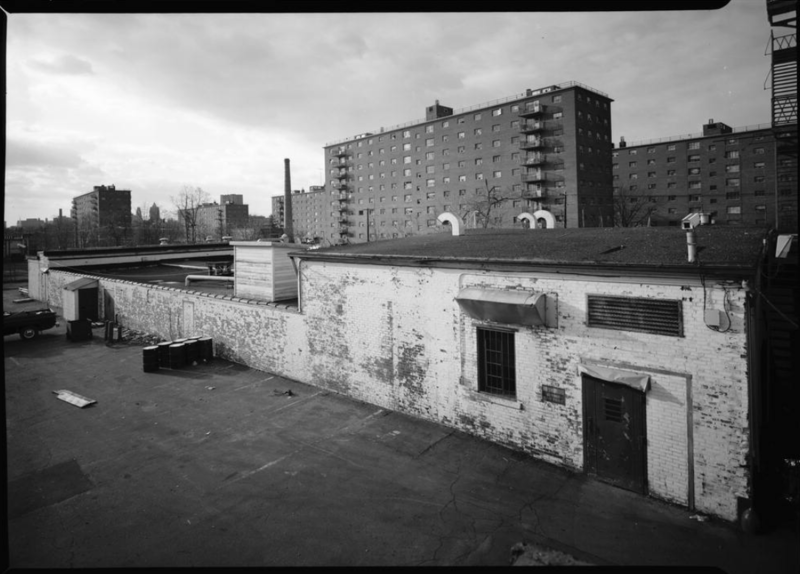 New Haven in the late 20th century was reeling from the devastating loss of industrial jobs – the city’s populations had fallen by 25% since 1950, hundreds of abandoned buildings dotted working class areas, and crime plagued many neighborhoods. To address these issues, the City demolished hundreds of vacant buildings through the Livable City Initiative (LCI), embarked on a massive multi-billion-dollar school rebuilding and reform effort, worked with State and Federal Law Enforcement to dismantle neighborhood drug gangs while instituting community policing, and worked closely with Yale University to have a greater stake in developing New Haven. As a result, much of the urban wilderness left over from building demolition has become community gardens, side yards, and building lots for new construction; nearly every public school building in the city has been completely rebuilt or renovated though with mixed results (see here and here); crime has dropped dramatically throughout much of the city; and Yale University along with the City has helped transform the Broadway, Chapel West, Ninth Square, and Route 34 East Districts. A recent rental housing boom has also prompted the new construction and retrofit of residential buildings in Downtown, Dwight, Wooster Square, Upper State Street, Dixwell, and the Hill. If the design of several new buildings in New Haven is any indication, we may have begun to exchange our fascination with the automobile, sleek highways, and towers in a park for more familiar urban scenes populated by bicycles, tree lined sidewalks, and ground floor retail. And now for the first time in decades, as the 2010 census revealed, the City’s population had actually grown. At least for now, it appears that the City along with support from Yale University has begun guiding the residents of New Haven out from the abyss – not unlike (though the roles now reversed) Moses returning to Egypt from Midian in order to lead the Hebrew people to the Promised Land with the help of Aaron. And perhaps it’s true, or perhaps that story is more akin to the Fallen Angel’s attempt to seduce through temptation. A temptation based on a desire to want to believe that the City is on the ascent despite the fastest growing income inequality in the Country, highly segregated schools and neighborhoods, and continued divestment from high poverty neighborhoods. If New Haven’s history serves as any indication for how to view recent development, we should be wary of trusting their ability to have a lasting impact on the City’s future. Like cities throughout time, New Haven has gone through bursts and bubbles, dips and peaks. I think the best chance that New Haven has for achieving immortality is through a mixture of continuous renewal by rehabilitation of existing buildings and brave new expansion programs that include accommodations for all. New Haven has already given us the model for which to strive – the double quadrature, the inner sanctuary surrounded by the congregation, the park encased in a neighborhood. This ancient platform for community informed the Garden City Movement at the turn of the 20th century as a way to de-congest industrial cities. 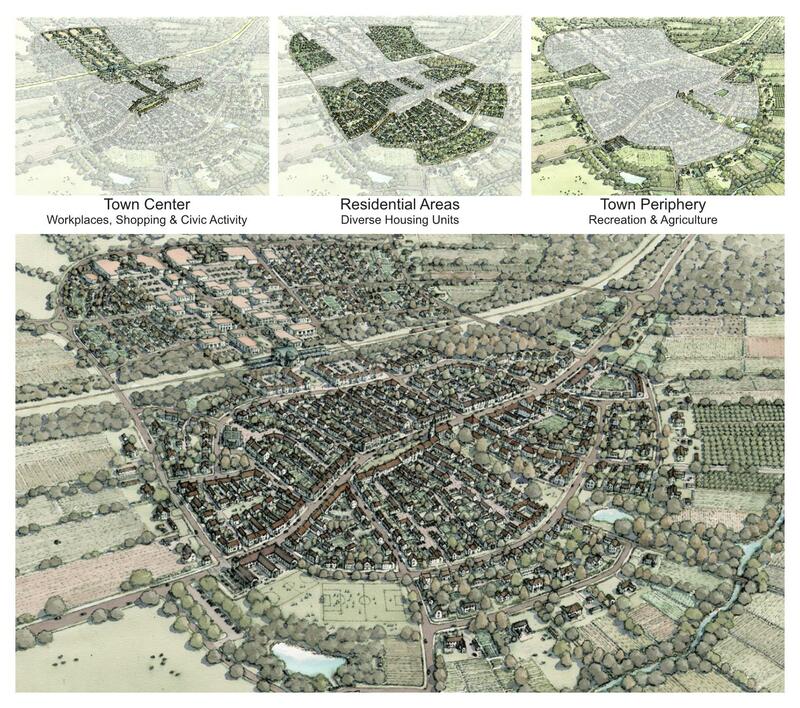 A century later, the pattern fascinated New Urbanists, who have, in recent years, planned new towns and traditional neighborhoods around an “architecture of community”. Applying this template to existing places can encourage their reuse, reinvention, or longevity. 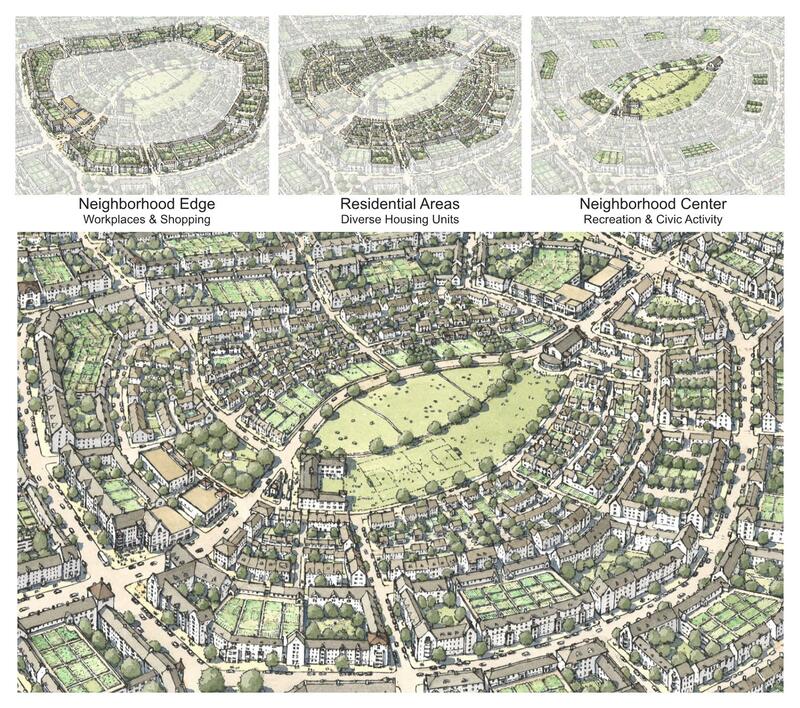 Alternatively, applying that ideal to new developments may enable the inclusion of diverse groups of people, a variety of land-uses, and a sense of community where those qualities typically lack. What prevents renewal from being a flood or expansion from being colonization is how well people are included in the process of determining their own fate. With that in mind, if you’re a homeowner, might you welcome newcomers to your neighborhood by supporting zoning reform to allow mixed-income and mixed-use development in your neighborhood? If you’re a store-owner, might you build relationship with your customers and neighbors, and blend your building into the surrounding neighborhood with domestic-scale lighting, cladding materials, and building massing? If you’re a student renter, might you respect your neighbors’ privacy and sleeping habits? If we can do unto others as we would have them do unto us and establish inclusive and accessible communities as the primary goal of development, then we may not hate to see New Haven change, because we will possess the tools for rebuilding Paradise anew.